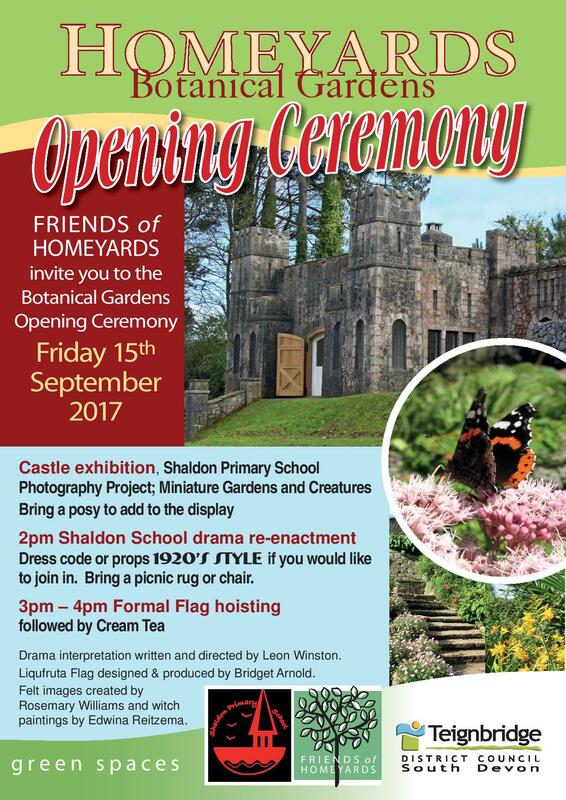 Everyone is welcome at the Castle Re-opening Ceremony on Friday 15th September at 2 pm. There will be a drama re-enactment by Shaldon School followed by a cream tea. Dress with a nod to the 1920s.